Music composed by Guillaume Roussel. 1942: The Third Reich is at its peak. The Czech resistance in London decides to plan the most ambitious military operation of WWII: Anthropoid. Two young recruits in their late twenties, Jozef Gabcik (Jack Reynor) and Jan Kubis (Jack O’Connell), are sent to Prague to assassinate the most ruthless Nazi leader – Reich-protector Reinhard Heydrich (Jason Clarke), Head of the SS, the Gestapo, and the architect of Hitler’s ‘Final Solution’. 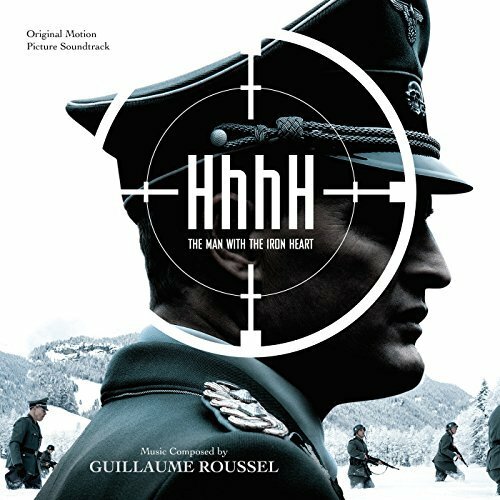 The movie soundtrack of The Man With The Iron Heart was released on December 8, 2017 by Varese Sarabande.